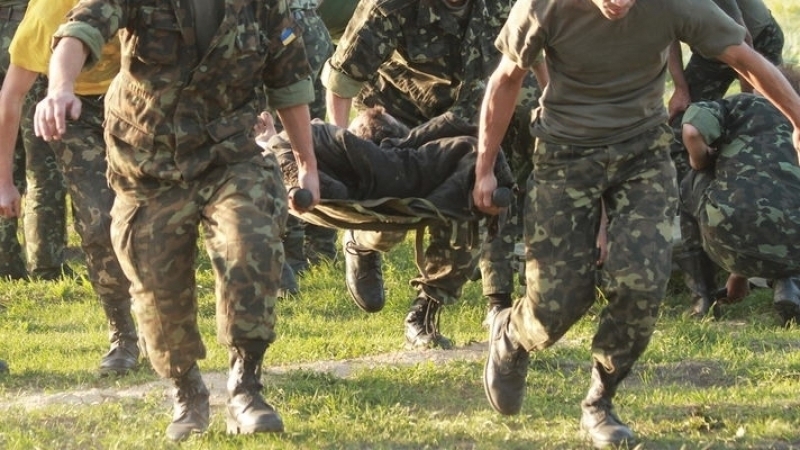 Over the past day, August 22, during the battle in the zone of the Joint Forces Operation in Donbas, one Ukrainian military man was killed, another military man was injured, according to the press center of the JFO. Twenty-four cases of ceasefire violations by militants were recorded. According to the military, the Russian occupation forces fired artillery, mortars, heavy machine guns and small arms. The positions of Ukrainian defenders near settlements of Novotoshkivske, Krymske, Starohnativka and Vodyane were attacked. Russian occupation troops opened aimed fire from the armored vehicles, grenade launchers, heavy machine guns and small arms, and in separate directions from mortars of 82 and 120 mm caliber, as well as barrel artillery of 122 mm caliber. Near Hnutove occupiers fired the positions of the Joined Forces from artillery of 122 mm caliber. They also used 120 mm mortars against Ukrainian defenders in the area neat Krymske and 82 mm mortars in the vicinity of the settlement of Peski. Earlier, President of Ukraine Petro Poroshenko said that Ukraine would not have lost the Crimea if in 2014 the Armed Forces of Ukraine had the same combat readiness as today. The head of state noted that Ukraine paid a very high price in the struggle for independence for 4.5 years.